Managing Restaurant Employees Causing You Stress? Let Thr!ve POS help! 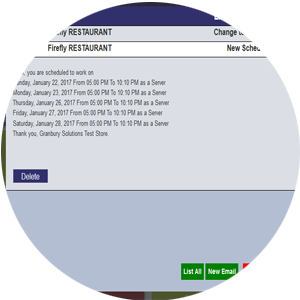 With Thr!ve, you get a fully featured employee management solution built in to your point of sale software, so you don’t have to pay extra for time clock or scheduling applications. Thr!ve produces complete payroll reports, with overtime calculations, that can integrate with your payroll system. Labor costs running too high? Thr!ve will alert you to help you avoid unexpected overtime. 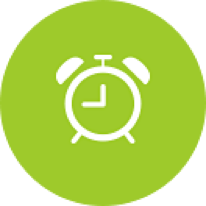 Easy scheduling tools let you build to a budget, alert staff and enforce at clock in. Use Thr!ve’s internal messaging system to communicate important info and confirm receipt. From sales contests to delivery driver run times, late arrivals or kudos for a job well done, Thr!ve keeps a record of team performance handy. Your restaurant’s success can hinge on your ability to manage controllable costs, and labor is a big one! Luckily, Thr!ve is on your side with restaurant management software that helps you keep labor costs down. 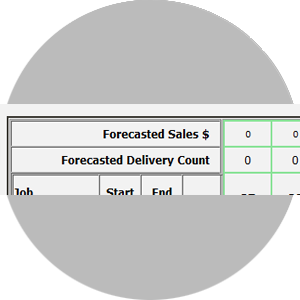 Use sales forecasting tools to project your sales, and set a labor budget accordingly in your schedules. Enforce schedules at clock-in. Those 10 minute early clock-ins can add up over time. Use fingerprint readers to prevent “buddy punching” and ensure security. 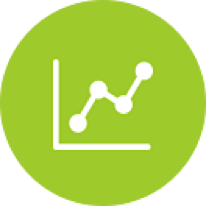 Check real time labor/sales analysis regularly, so if business is slowing down, you can send extra team members home. 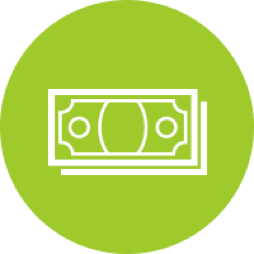 Get real time alerts if employees are about to go into overtime pay, so you can avoid unexpected payroll costs. Track delivery driver “road time” vs. in house time. Thr!ve can automatically pay a tip-credit wage when drivers are on the road. Use Thr!ve to create a weekly schedule and you’ll find you’re spending less time on this dreaded task! 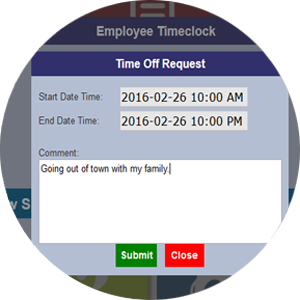 Employees submit time off requests and set available work hours right in the system, and managers can approve or deny their request. No more sticky notes or lost messages. No need to guess how many delivery drivers you’ll need next Friday night. Thr!ve’s forecasting tools can project how many deliveries you’ll need per hour. Build your schedule to your budget and save as a template to make it even easier next week. Once the schedule is posted, employees receive their shift notifications via email. No more excuses that they forgot to check the schedule! 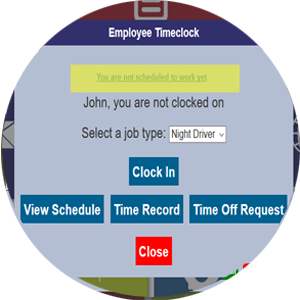 Keep employees on schedule by preventing clocking in before their scheduled shift, or get notified if any job requirements have expired (like insurance for drivers). 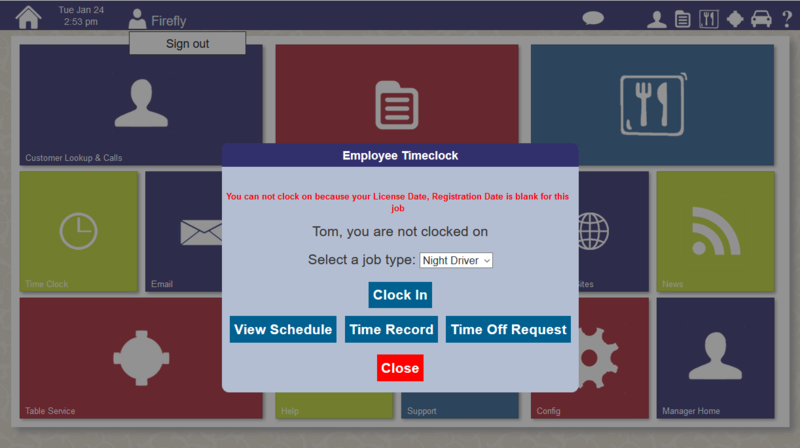 Keep a permanent record handy in each employee file of any late clock ins or missed shifts. User definable job requirements with expiration date to track insurance, licenses, etc. 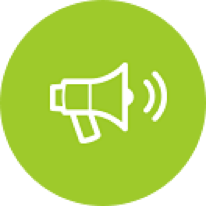 Integrations with payroll and HR systems are available. When new hires start, they won’t require much training to immediately start taking orders on Thr!ve. It’s easy and intuitive. 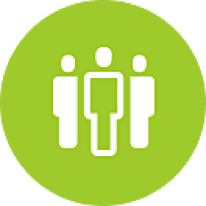 If you need help, we’ve got over 500 articles, videos and training tools in our online user help center. Support is just a click or a call away!